KLS utilizes its highly skilled team of mechanical engineers to provide complete mechanical design solutions for your new product, or to modify and improve your existing design. Using 3D CAD (Computer Aided Design) modeling, we can refine piece and part assemblies to assure robustness and reduce complexity, as well as optimize the design for functionality and manufacturability. KLS also provides FEA (Finite Element Analysis) for structural, vibrational and thermal designs. We incorporate GD&T (Geometric Dimensioning and Tolerancing) with manufacturing in mind. With our optimized mechanical design, you can mitigate design risks and expedite time to market. Kinglisheng (Shenzhen) electronics & technology Co., Limited is located in Shajing town, Baoan district, Shenzhen city, Guangdong province, China. 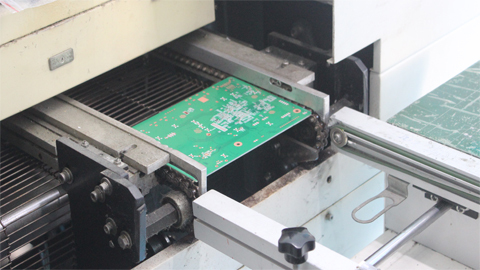 we are the company professional on PCB & PCBA, including development, manufacture, SMT Assemble and sales. Also, we have a good relationship between customers in Hong Kong, USA, EU, South Asia. To ensure the high quality, we have imported many advanced production and testing equipments from American, France, England, German, Israel, Italy and Taiwan, such as SCHMOLL and V-cut machine from German, POSALUX from Switzerland, laminated yarn from Italy, the AOI of brand Camtek from Israel, the Developing line and advanced test machine CMI900 from Japan.